Hailing from Ashdene’s fantastic Australia Down Under collection – inspired by some of our country’s most famous locations – the Australia Down Under Brisbane Can Mug is sure to look at home in your kitchen. 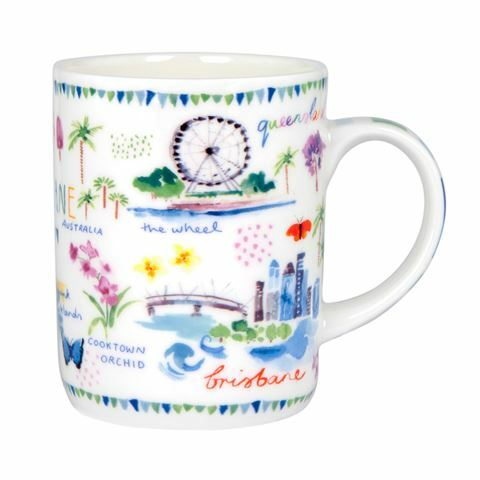 Celebrate one of Queensland’s oldest cities with this mug’s lovingly designed print by Longina Phillips, featuring sights such as Southbank Parklands and the Story Bridge. Made from fine bone china, you can feel assured that this mug is high quality. Brisbane inspired illustrations by Longina Phillips.